Fronting the Wailea Old Blue golf course, Wailea Ekolu offers the best of both worlds: golf-course setting and incredible ocean views of the Pacific. 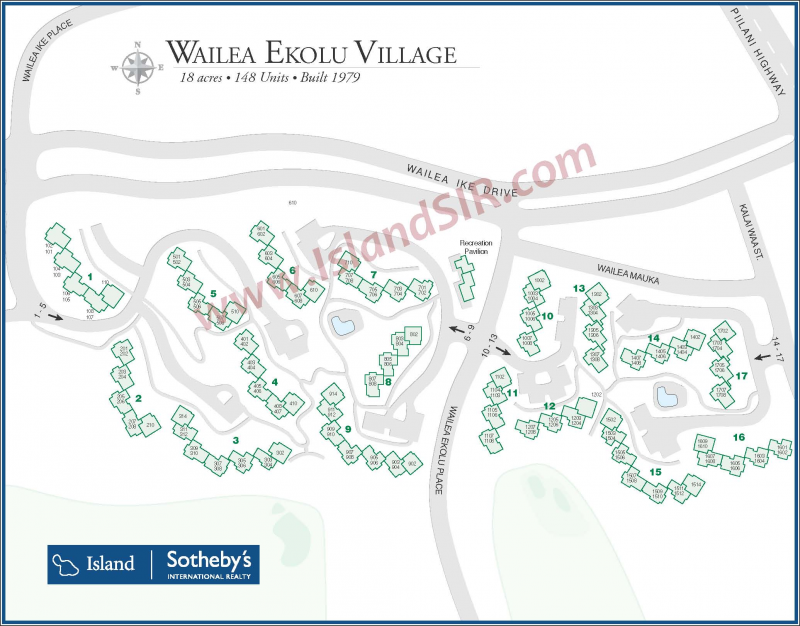 Located on 18 acres, Wailea Ekolu allows short-term rentals and consists of 148 units, which range from 1 bedroom / 2 bathroom to 2 bedroom / 2 bathroom. Owners and visiting guests enjoy use of two phenomenal pools, a recreation pavilion with kitchen, and dedicated barbecue areas. A short walk are The Shops at Wailea and a few of the best beaches in Hawaii.